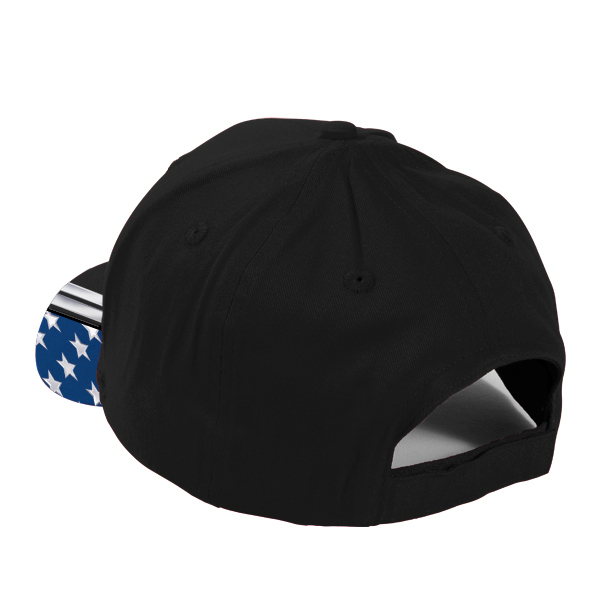 Decorated with liquid metal, this cap shines above the rest! 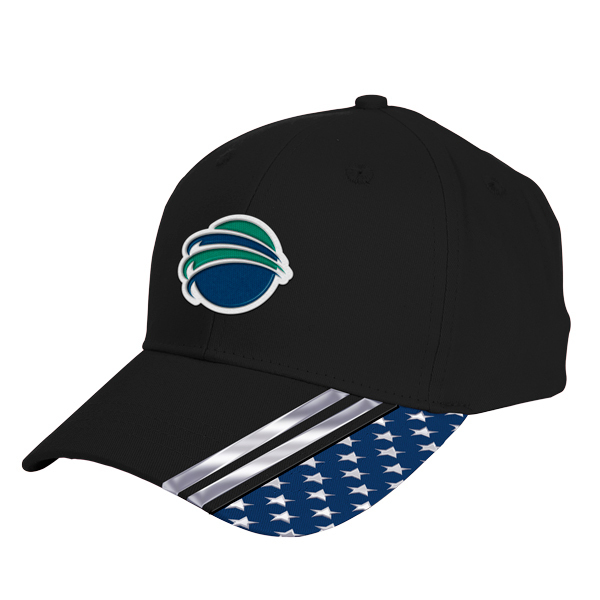 With silver liquid metal stripes and stars ornamenting the bill, giving the cap a sleek and modern look. The cap is structured with black cotton twill, matching eyelets and stitching, and a Velcro® strap closure.